Janice Butler Ryckeley, 63, Air Force Veteran of Tar Heel entered into eternal rest on Monday, February 25, 2019. She was the daughter of the late Clinton Butler and Margaret Prevatte Butler of Dublin and the only granddaughter of the late Mr. and Mrs. King David Prevatte, also Mr. and Mrs Hugh Bert Butler. 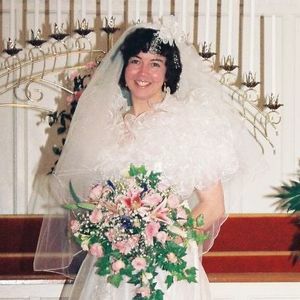 Janice leaves behind her husband Michael F. Ryckeley of the home, two sons: Christian Butler Ryckeley and Clinton Michael Ryckeley, and one brother Gene Butler. Janice's education path started with East Bladen High School and continued with the University of North Carolina-Greensboro; Bachelor of Science in Nursing, Central Michigan University; Master of Science in Health Services Admin, University of North Carolina, Chapel Hill; Masters of Public Health Occupational Health Nursing Public Health; and Duke University School of Nursing Adult Cardiovascular Nurse Practitioner. Janice was a North Carolina certified ANP/licensed RN and a South Carolina licensed Adult Nurse Practitioner in cardiology (Columbia Heart Clinic, Columbia, SC; Acute Care Nurse). Janice also had a career in the United States Air Force which started with graduating from the Air Force School of Aerospace Medicine, Flight Nursing, Brooks AFB, TX in 1982. She primarily was an Air Force flight nurse transporting patients on a specially configured C-9. Providing "Patient Care in the Air" she traveled to countless locations throughout the world. Janice honorably retired from the Air Force as a Lieutenant Colonel in 2001. She was a decorated war veteran, being recognized with the Defense Meritorious Service Medal, Air Force (AF) Meritorious Service Medal, AF Commendation Medal with four oak leaf clusters, AF Achievement Medal, Southwest Asia Medals (Liberation of Kuwait, Saudi Arabia from Operation Desert Storm/Shield). A Celebration of Life Service will be held at 11:00 am on Friday, March 1, 2019 at Bladen Gaskins Funeral Home in Elizabethtown with Rev. Jason Lee officiating. The family will receive friends after the service. Add your thoughts, prayers or a condolence to Janice's guestbook.